The jaw and your skull are connected by temporomandibular joint (TMJ). 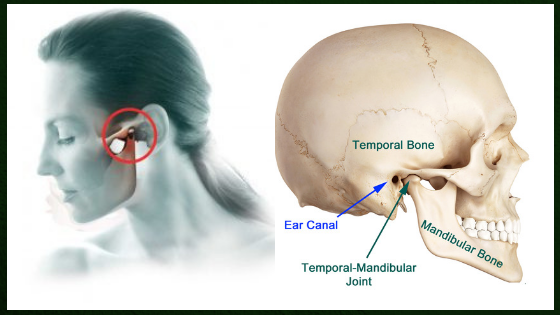 When your temporomandibular joint is damaged or injured or you have problems with your face or jaws muscles, it can cause a localized pain disorder called TMJ syndrome. TMJ leads to the teeth/jaw injury and incorrect position, teeth grinding, stress, arthritis, and gum chewing. If you were diagnosed TMJ, Modern Dental Care Mauritius suggests the treatments listed below which work best in combination. You may get feel better if use all of them. Cut food into very small pieces so that it is easier to chew. Some people feel better after about two or three weeks on this diet. Other people need to be on this diet for a longer time. Medical treatment for TMJ syndrome can include dental splints, physical therapy, injections of Botox, prescription medications and in severe cases surgery. Nonsteroidal anti-inflammatory drugs to relieve muscle pain and swelling. Muscle relaxants help loosen tight jaw muscles. Antianxiety medicines help relieve the stress. Antidepressants can be used in low doses to reduce or control pain. Night Guards are designed to keep your teeth slightly separated and prevent them from clenching, which can provoke an exacerbation of the symptoms of TMJ. In case of severe condition, you may be advise to use a splint to hold your jaw in place so that the joint can heal. Splints are worn all day round and take pressure off the jaw joints and muscles so they can relax and heal. Physical therapy can reduce damage and relieve the discomfort caused by TMJ. The following 8 exercises will train your jaw muscles to move correctly without causing pain and help you to strengthen them. Do these exercises for 5 minutes twice a day while you are sitting down and relaxed. Make sure that you repeat them on the both sides of your jaws. Keep in mind: every case of TMJ is unique, so these complex might work for some people, but not others. With your mouth widely open (avoid any pain), move your jaw on the right side. Keep this position for 10 seconds and return to the middle. Repeat with moving on the left side. Trace the joint of your jaw and massage the muscles slowly moving downward. With your tongue on the roof of your mouth, place one finger in front of your ear where your TMJ is located and your thumb under beneath the middle of your chin. While applying gentle pressure from the bottom open your mouth slowly. Stay with your mouth open for 4-7 seconds. Repeat 3-5 times. Open your mouth as wide as you can (avoid feeling any pain). Close mouth. Open your mouth 2 more times, but only half as wide. Place pencil that is about 1 cm thick between your teeth. Gently move your jaw from one side to another. Repeat this few times. Once you feel it is easy, use a thicker pencil (marker or etc). With the same 1cm pencil used in the previous exercise, move your lower teeth forward until they are in front of your upper teeth. Repeat this movement few times. Once it feels easy replace with a thicker pencil/marker. Open your mouth as wide you can (avoid any pain) and rise the tip of your tongue to the roof of the your mouth. Gently applying pressure, move the tip of your tongue towards your tonsils and keep it there for 4-6 seconds. Then stick your tongue outside of your mouth as far as you can and hold for another 4-6 seconds. Repeat 7-10 times. With your shoulders back and chest up, pull your chin straight back, creating a “double chin”. Keep this position for 3-5 seconds and repeat 7-10 times. Open your mouth as wide you can (avoid any pain) gently applying pressure under your chin and resisting closing the mouth. Repeat 7-10 times. Everyone’s teeth are unique and every case of TMJ is different. Work together with your dentist to find the best treatment that works personally for you.